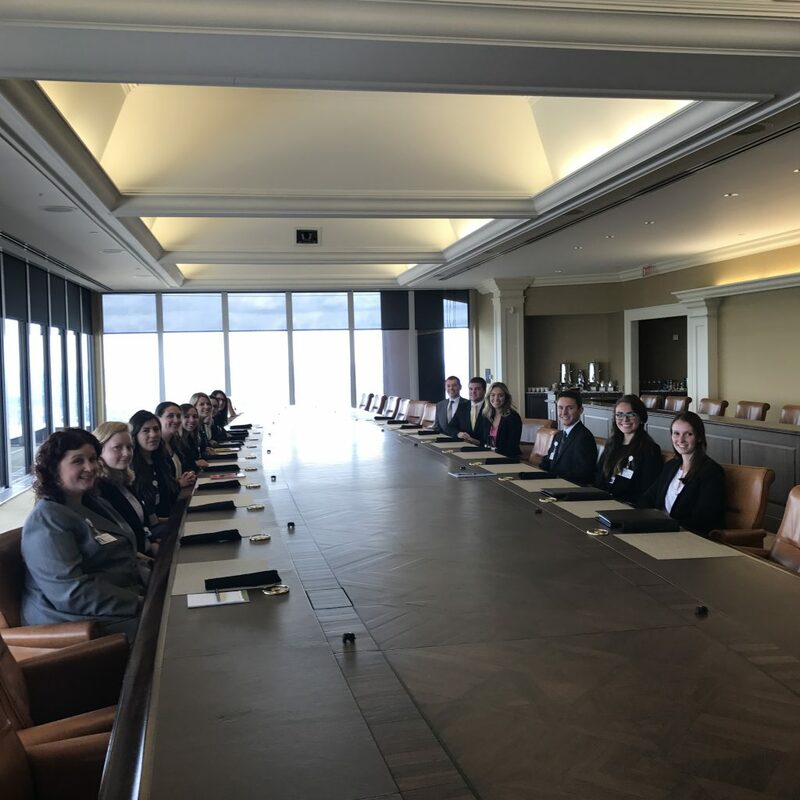 UPMC’s Summer Associate program is an 11-week, paid internship that exposes students to real-world business opportunities. Emphasis is placed on professional development, networking, and social responsibility, making for a unique internship experience for current students and recent grads! 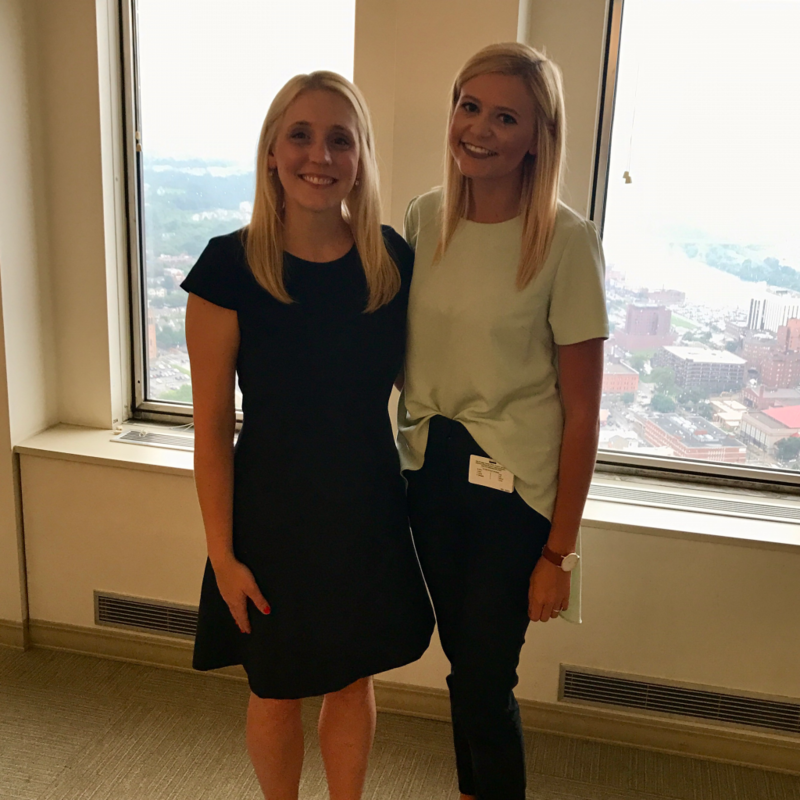 Every Friday in July we’ll be sharing updates and photos from our 2017 class of Summer Associates as they experience a summer with UPMC. 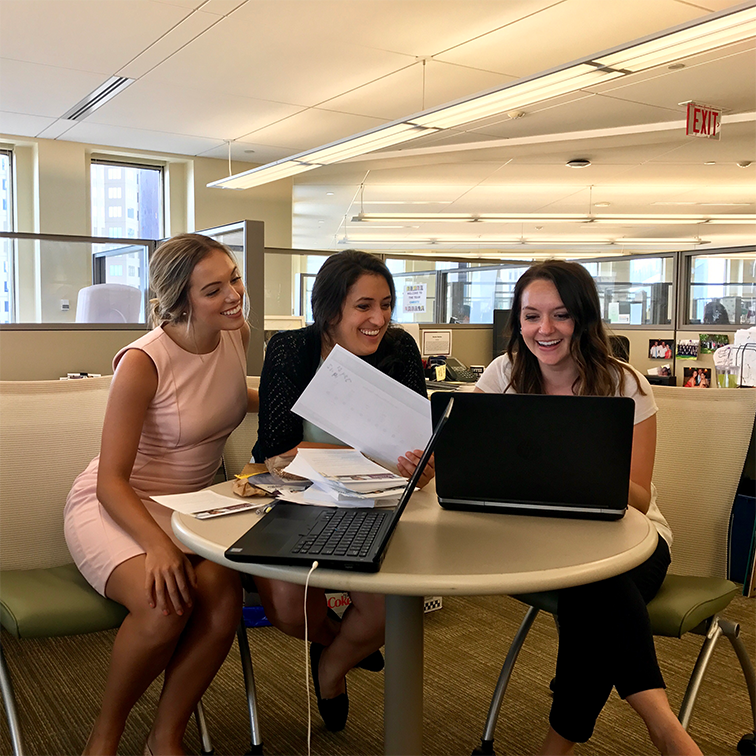 Tune in each Friday in July for the latest updates and snapshots directly from our Summer Associates, and a take a peek into their week! Hello there! My name is Jillian Welch and I am an Information Services Summer Associate. Here’s a look at my week! I’m lucky enough to live less than a 5-minute walk from a T-stop! 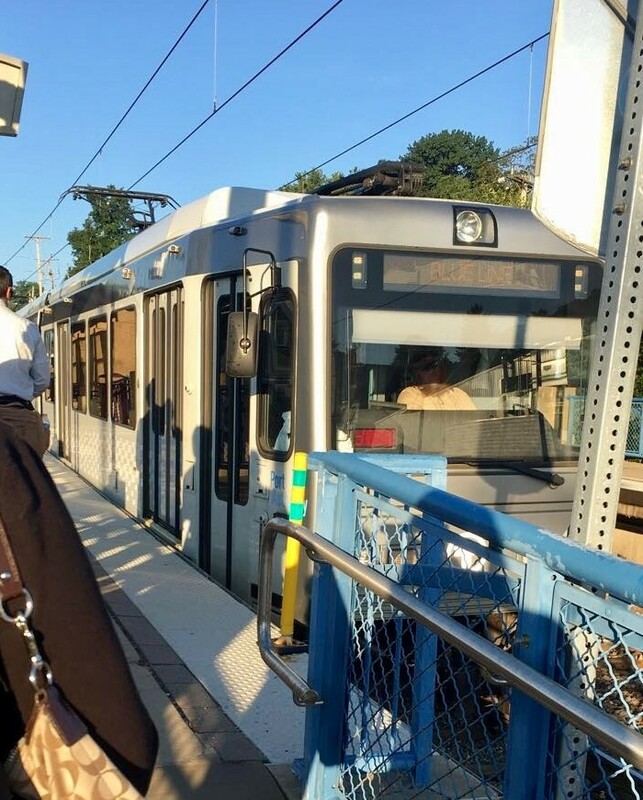 It’s about a 20-minute commute to the Steel Tower every day from my house in the South Hills. Even a cloudy sky can’t put a damper on this view! I think I can see The Cup from here- Let’s Go Pens! 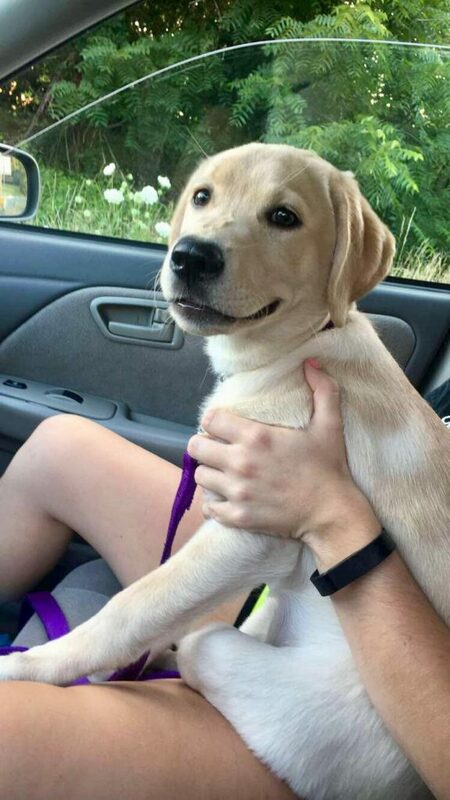 After work, I go to the park with my friend and her puppy to enjoy a nice walk on a beautiful evening! Project Manager, Amy Shinsky, and ISDR, Katie Murphy, invited me to attend a “Lessons Learned” meeting regarding the Jameson Integration. 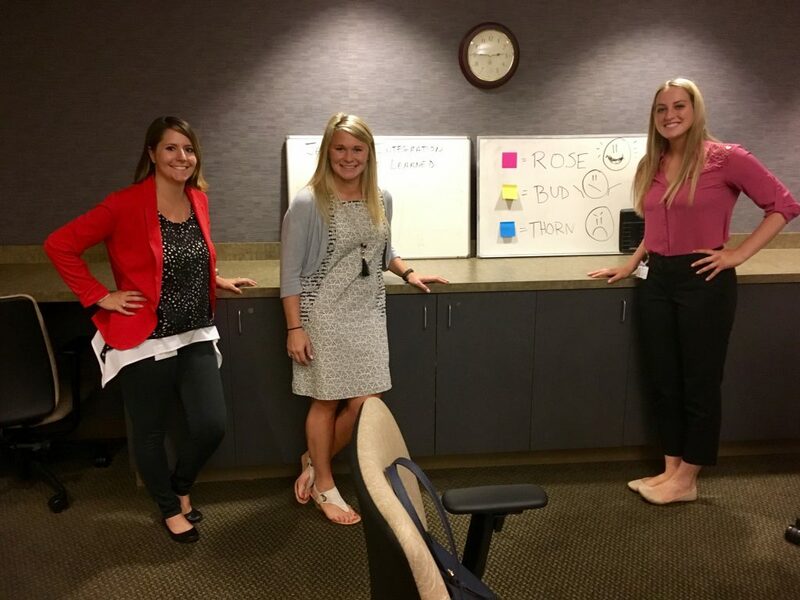 It was a great experience to listen to the cross-departmental communication in a “Rose, Bud, and Thorn” problem-solving session. I can drive by another great view of the city as I make my way to the South Side for a basketball game! This week I had the privilege of touring the Wiser Institute. We even got to try some of the simulations ourselves! 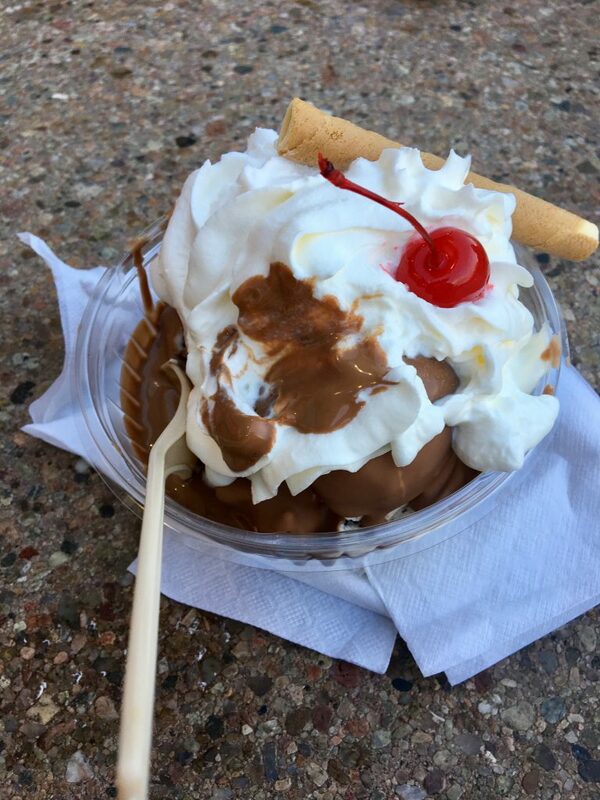 After a nice dinner, my family takes a drive to Sarris Chocolate Factory to enjoy ice cream sundaes. It’s a family tradition every summer! As August approaches, I’d say my summer has been one of the best yet! Hi everyone! My name is Sarah Good and I’m one of the Human Resources Summer Associates. I am working in the Talent Acquisition department, specifically on integrations and training. Here’s a look at my week! 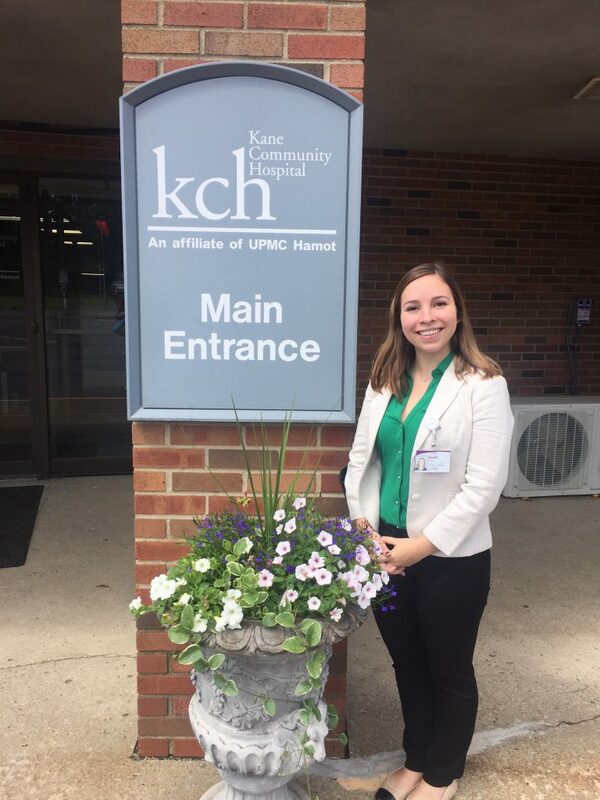 As part of integrations, I visited UPMC Kane for the hiring manager training so that they could learn how to navigate Talent Acquisition at UPMC! 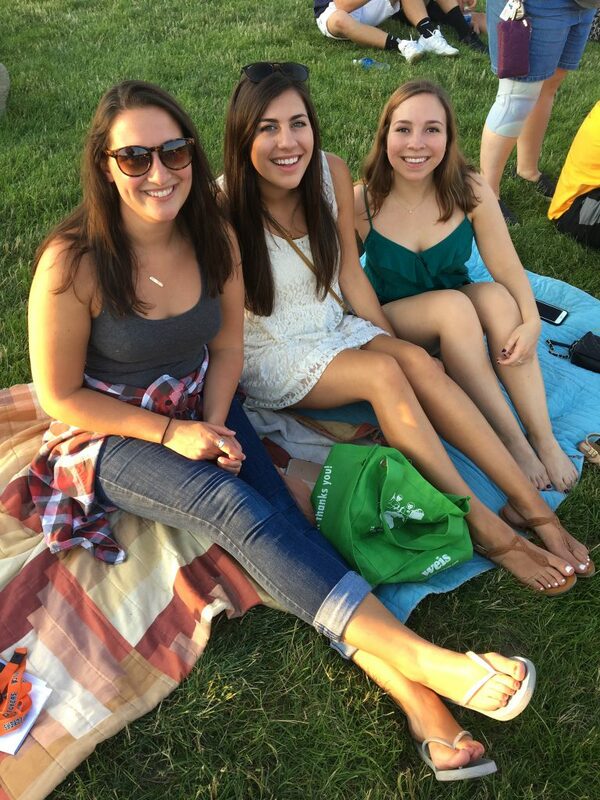 Some of my fellow HR Summer Associates and I enjoyed a Zac Brown Band concert. It was a spur of the moment decision, but so much fun! 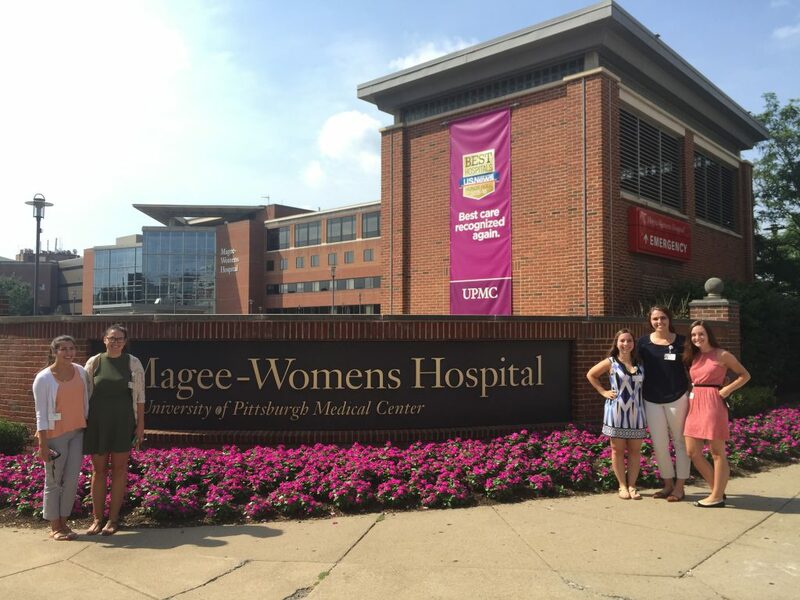 UPMC encourages us to visit the hospitals to get a first-hand glance of why our work matters- here’s a snapshot of some of us touring Magee-Womens Hospital of UPMC! 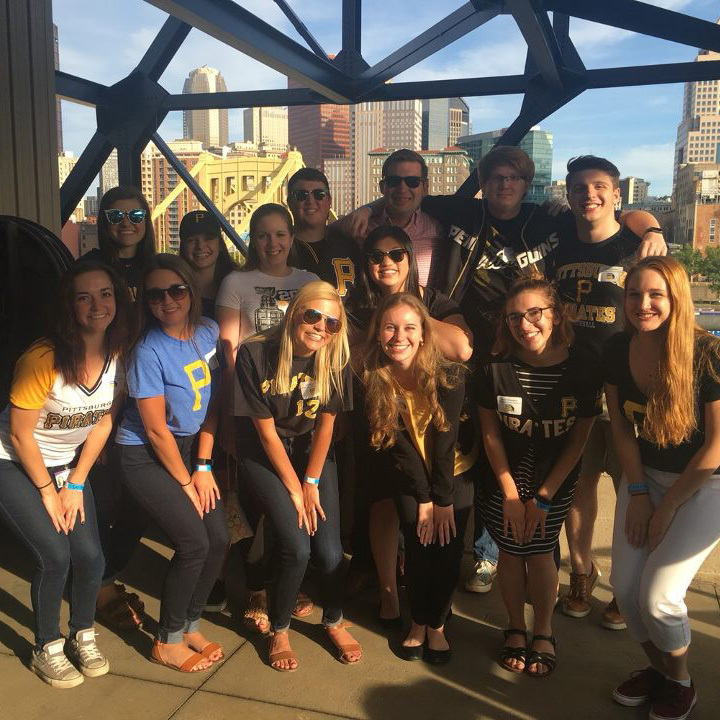 One of my favorite Summer Associate events was the Pirate’s game. 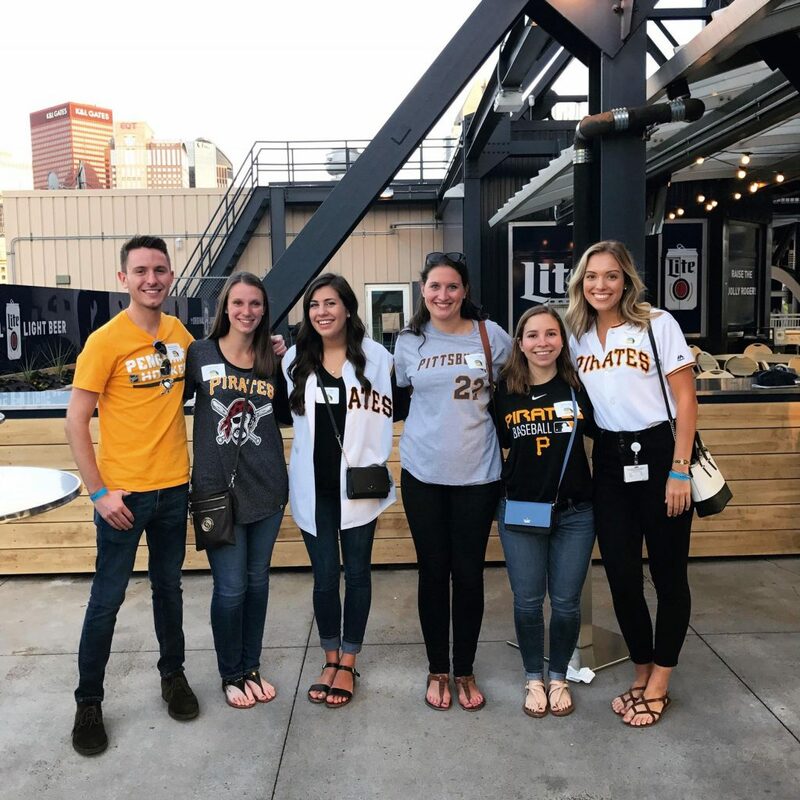 All of the Summer Associates across UPMC, their managers, and several executives attended the game and got to network with each other! 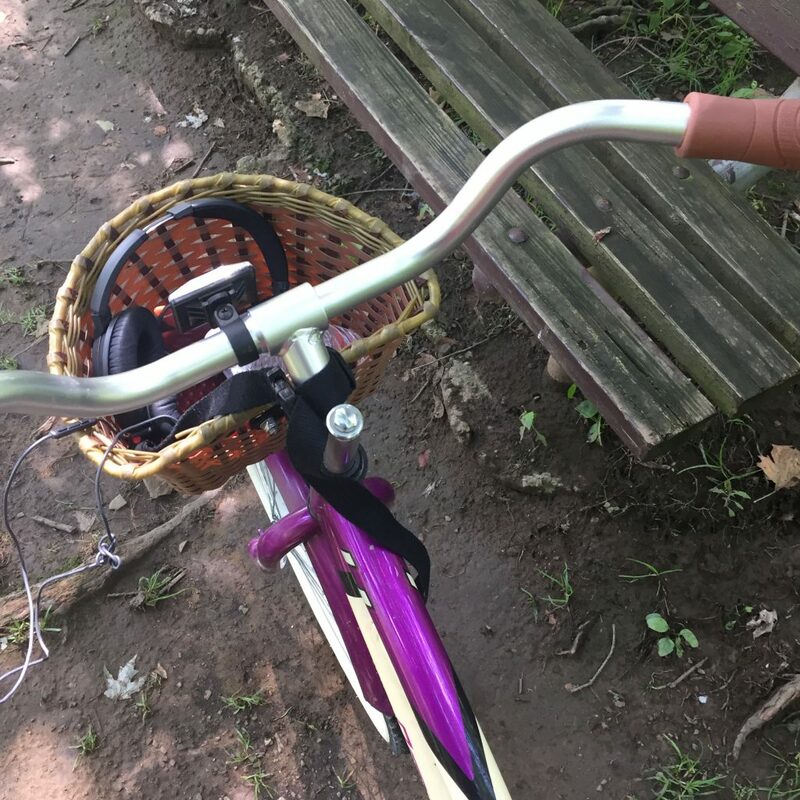 I’m Madison Wrubleski, an ISD Summer Associate with the ClinicalConnect Health Information Exchange. 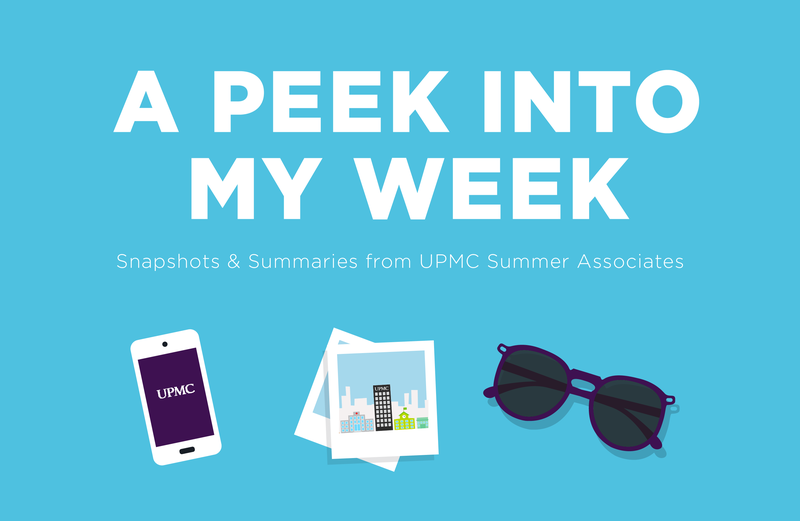 Here’s a sliver of life from my summer here at UPMC! Here’s the team celebrating our co-worker Chris Carmody’s birthday! He couldn’t attend but he was here in spirit with one of his several cut-outs we have! Enjoyed lunch outside by this beautiful fountain! 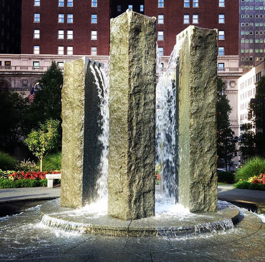 Pittsburgh has so many hidden beauties to see (when it’s not raining)! 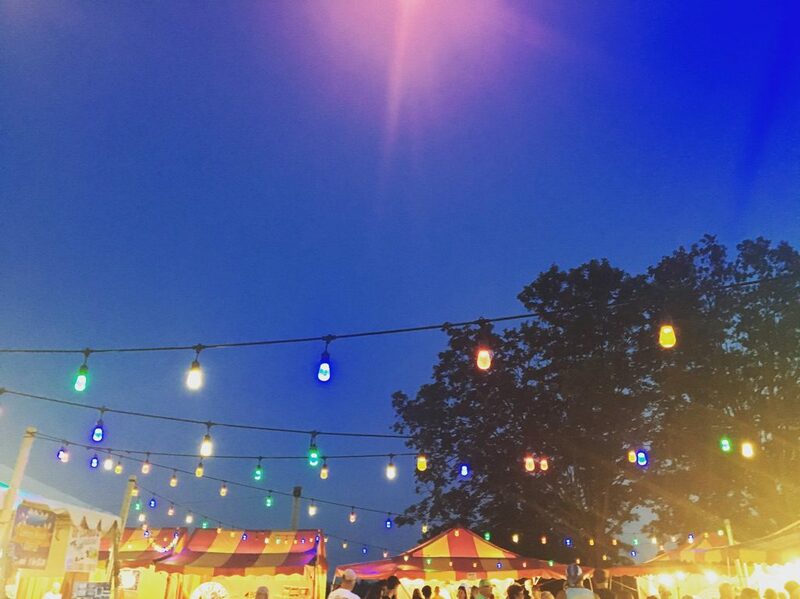 Had a lovely evening away from the city at my church’s annual fair with my family! There was good food, old friends, and loud polka music! My literal sister has already demanded we go back this weekend! Going to Duquesne University was by far one of my best decisions I’ve ever made. 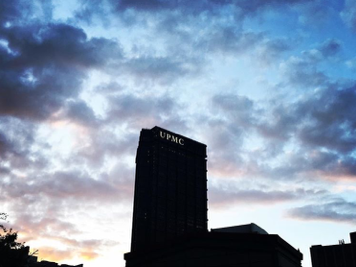 I visited the campus the other night to help my best friend move out of her apartment and witnessed this beautiful sunset behind UPMC. Nothing beats a sunset over the city. 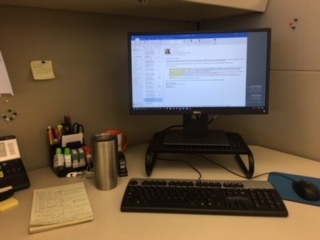 Displayed is a visual of my desk space in my cubicle, where I drink coffee every morning as I check my E-mails and analyze data. Pictured to the right is my To-Do list, which I assemble daily to maintain organization and prioritize. Everything in the picture is essential to starting my day! Lunch break = friend break! 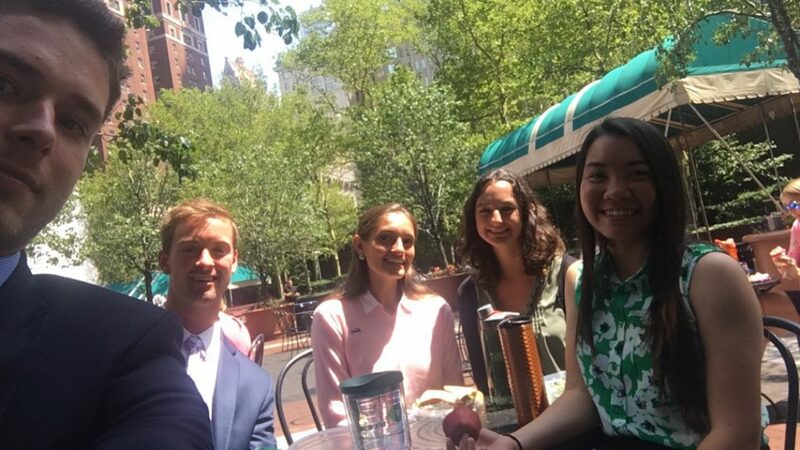 Every day, a group of FMRs and/or Summer Associates get together for lunch. On this day, we were enjoying the sunshine on the U.S. Steel Tower patio, talking about our weekends and getting to know one another. 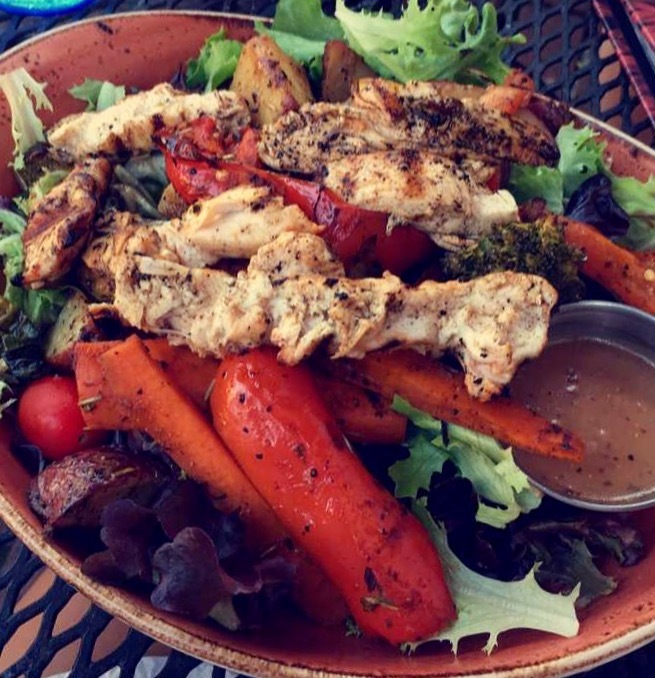 Occasionally, we all go out to lunch at a restaurant downtown, with favorites in Market Square! When I get home from work, I always try to make dinner. 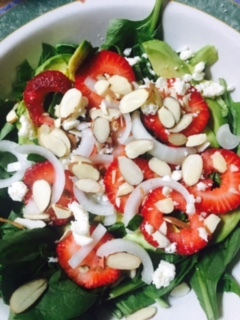 Pictured is a salad I made with a friend with summer ingredients! Despite how tired you may be, you always feel better for your next day of work if you’ve had a healthy dinner and socialized with friends! I run a few times a week after work, both for exercise and enjoyment. Running is a great way to relieve stress, and I love running while listening to music. 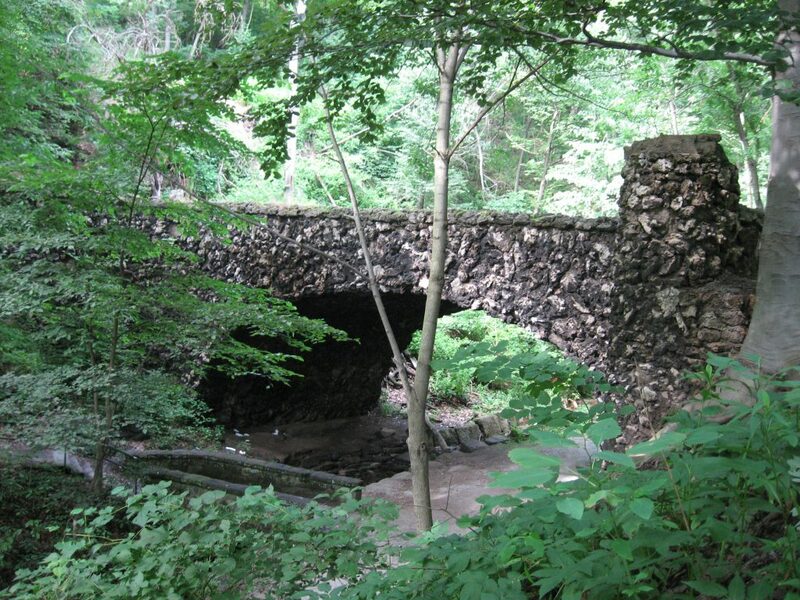 Being a Pitt student, I run to places like Shadyside and through Schenley Park (pictured above), which both offer cityscape sceneries and are fun runs! 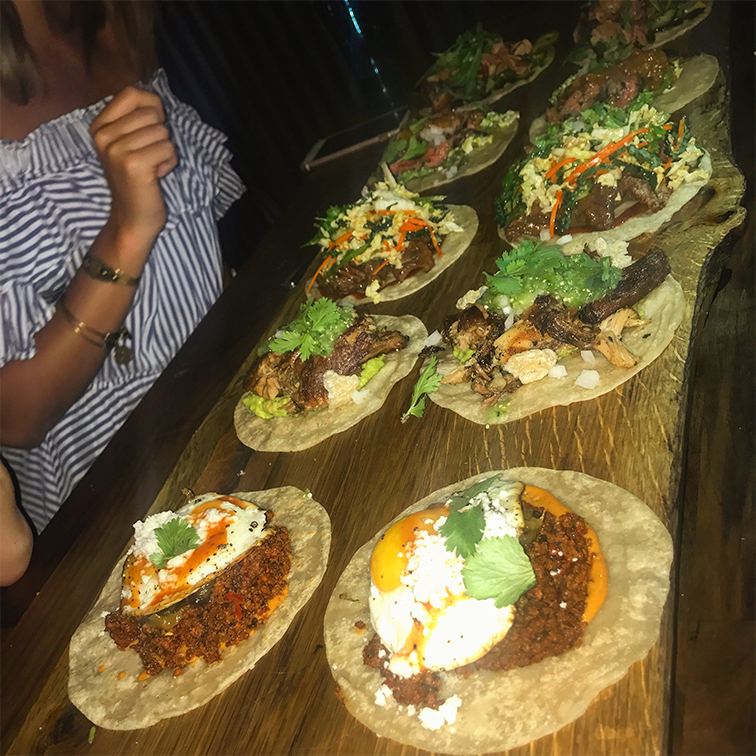 Pittsburgh is full of fantastic restaurants, and I try to meet with friends every week and go to a spot we haven’t been to. This week we tried Harris Grill in Shadyside, all had great meals, sat outside on the patio and laughed together. 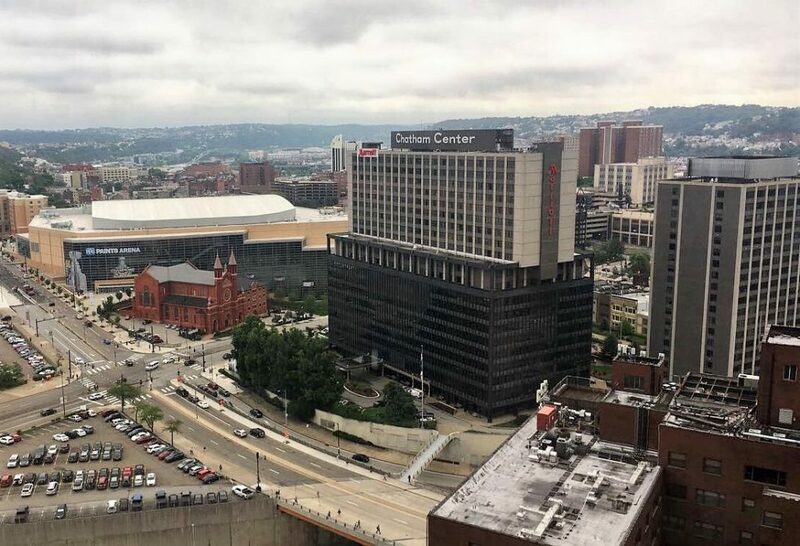 It’s fun to adventure to a new area of Pittsburgh and try different foods! Hi everyone! 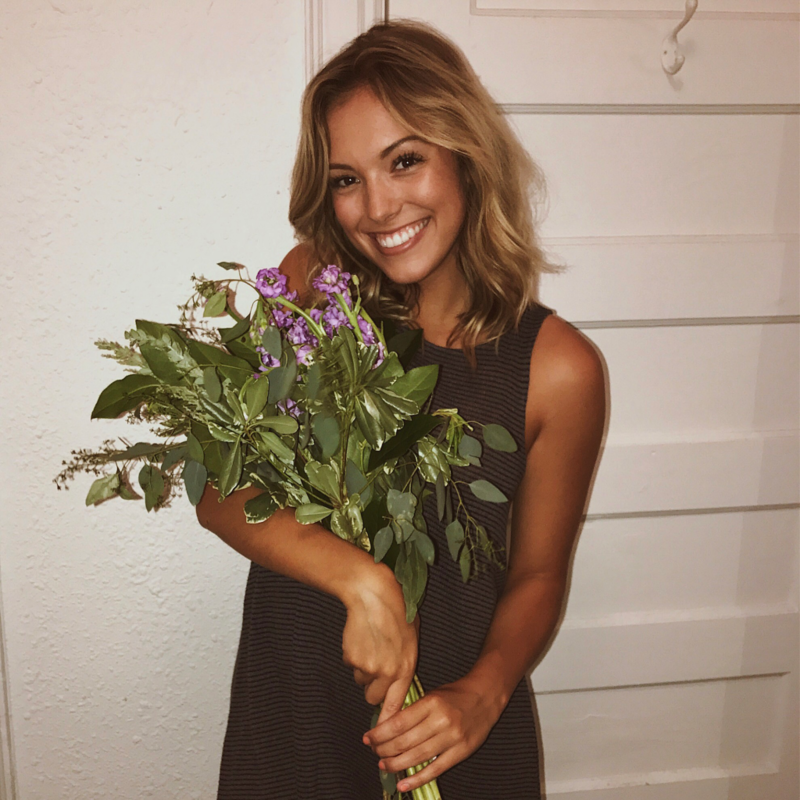 My name is Madison McLaughlin, I’m a Human Resources Summer Associate in Talent Acquisition, specifically the Campus Programs department. 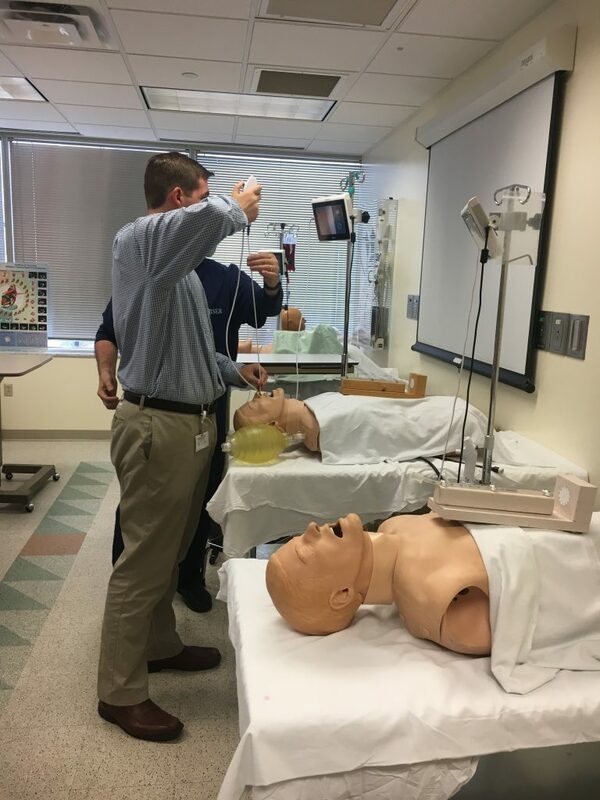 Here’s an insight into my UPMC week! 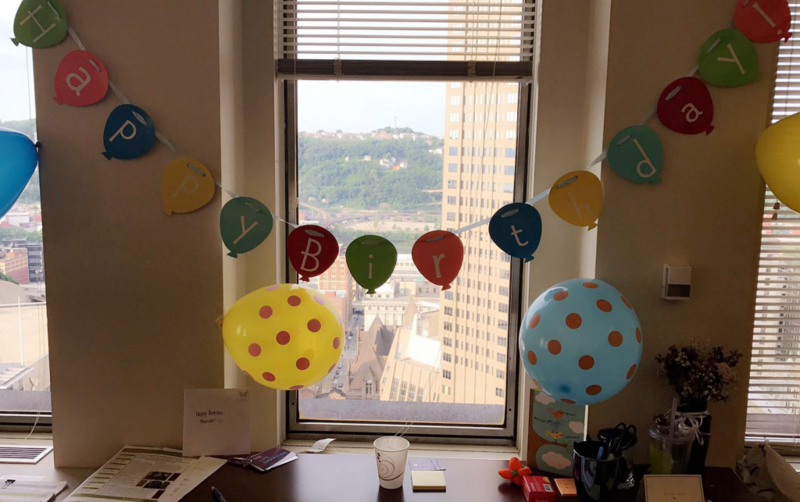 I turned 20 on July 10th and walked into the office to find a nice surprise from my team! Birthday celebrations are a big deal here on Floor 31. My friends took me out to dinner for my birthday and showed up with these beautiful wild flowers bought down in the Strip District (my favorite part of Pittsburgh). After a two-month long wait, my friends and I FINALLY landed a spot at the restaurant Täkō. The wait was beyond worth it – I may or may not already be on the wait list again in August. 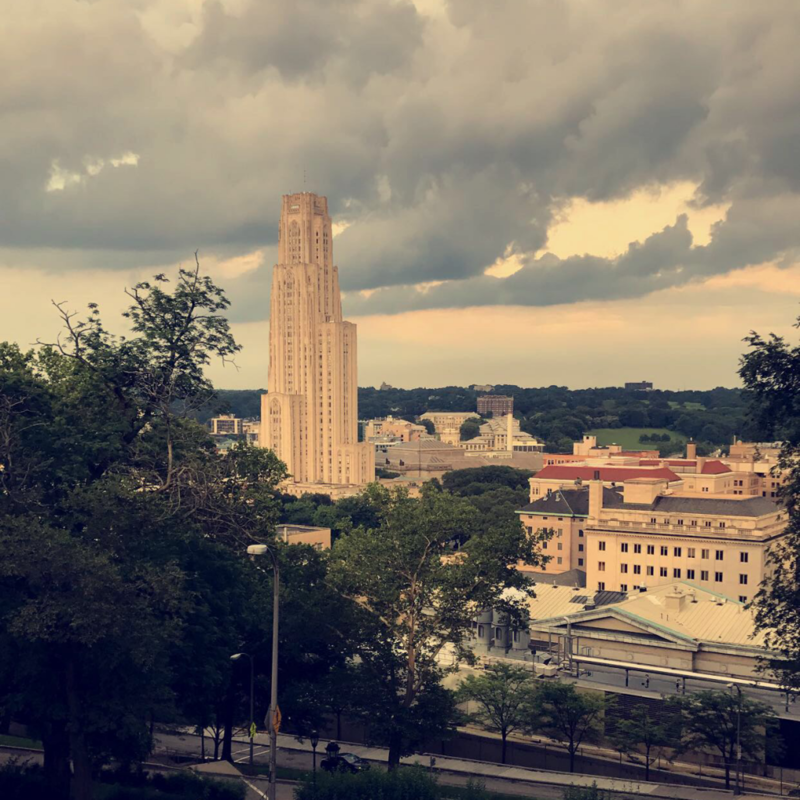 As a Pitt student, the Cathedral of Learning is a big deal to say the least. This view on the way down from the gym makes cardiac hill a little more bearable. All the HR Summer Associates had the opportunity this week to have lunch with our Chief Human Resources Officer, John Galley! I know we all enjoyed hearing about his career path and the different advice he had to give, as well as getting to eat lunch on the 62nd floor. My team members and I are busy planning an upcoming recruiting season for college campuses all over PA… hope to see you there! Hi, I’m Lindsay and these are a few snapshots from my week as a Marketing Associate! There is no greater feeling than being able to witness the joy that patients express when they see a sweet dog coming to give them company and kisses. 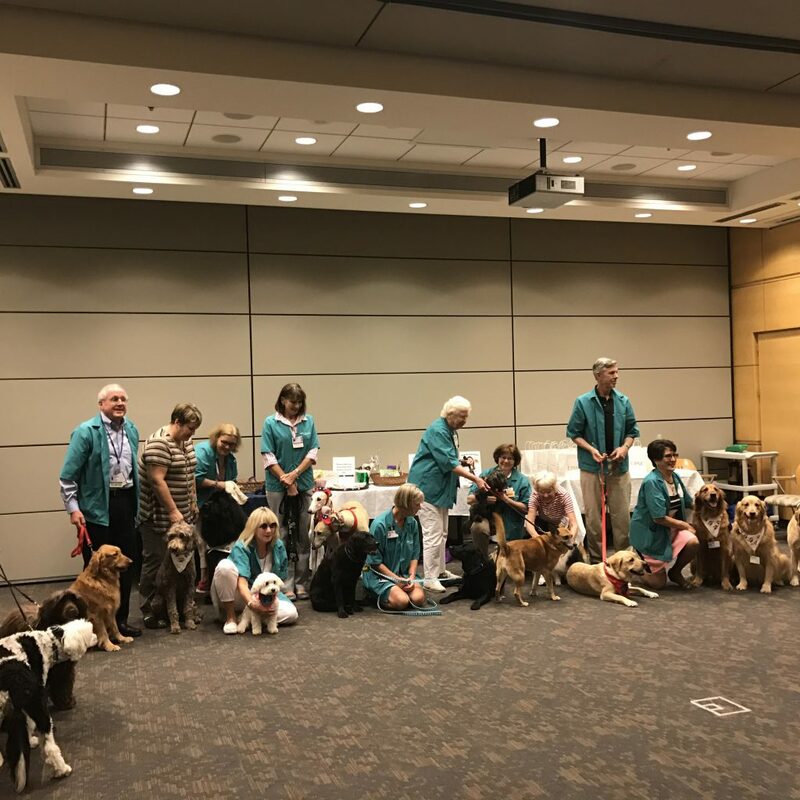 This week, I visited the Hillman Cancer Center in Shadyside for Pet Therapy Appreciation Day. And yes, I got to witness a Golden Retriever riding a skateboard. I am very thankful for my manager, Casey! As a clinical marketing Summer Associate who works primarily in living-donation liver transplant as a service line, I have learned so much about what a wonderful, life-saving option it can be. 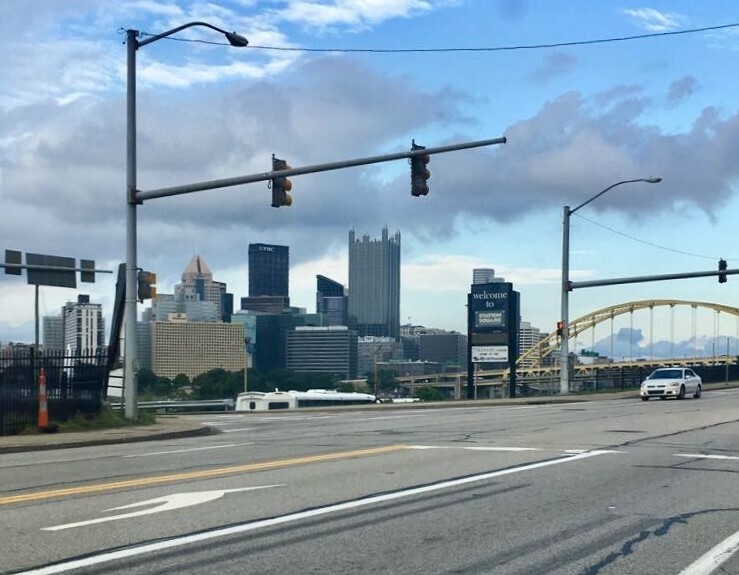 As a resident of Southside, I thoroughly enjoy my commutes to the Steel Tower. 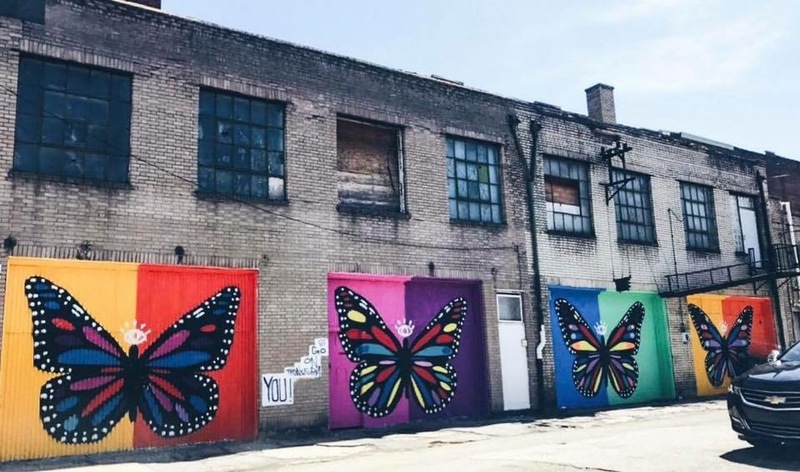 You can find this artist’s work in random little places – they always brighten my mornings. Catch us (way in the back) in the next UPMC Physical Therapy commercial. 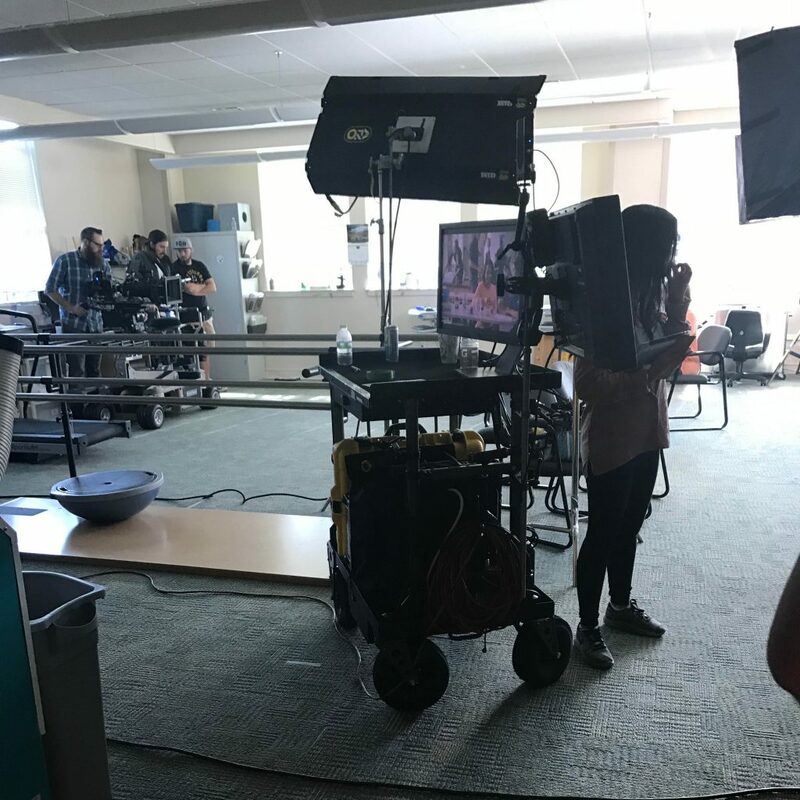 This week, me and some of my other fellow Marketing Summer Associates had the opportunity to be video extras! 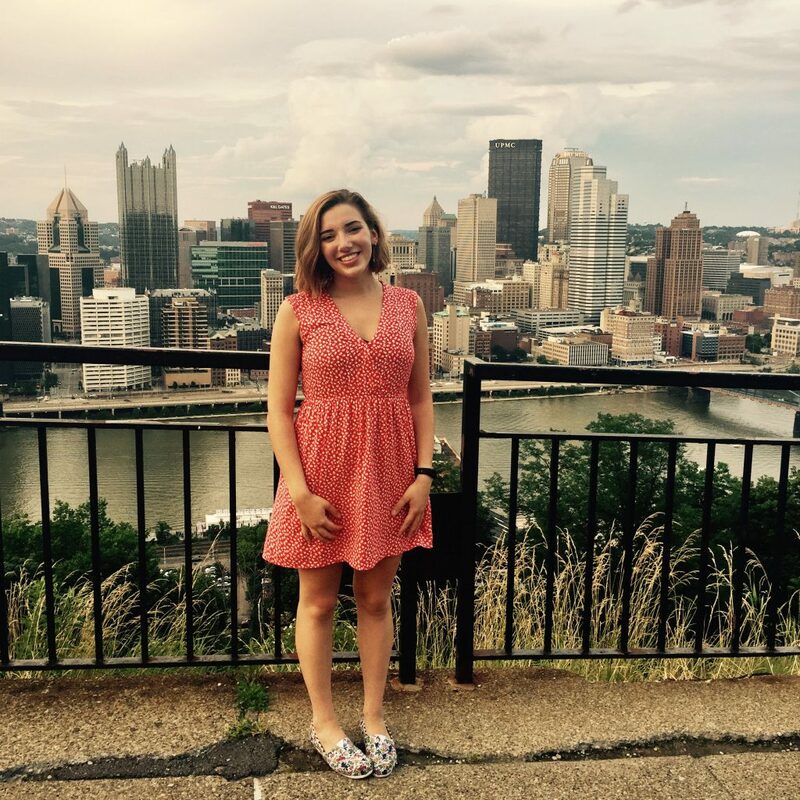 Hi, my name is Mattie Winowitch and I am a Marketing/PR Summer Associate with UPMC! Here’s a peek into my week here in Pittsburgh that will help you understand what life is like as a Summer Associate! Mondays are a lot more bearable with a beautiful view like this. 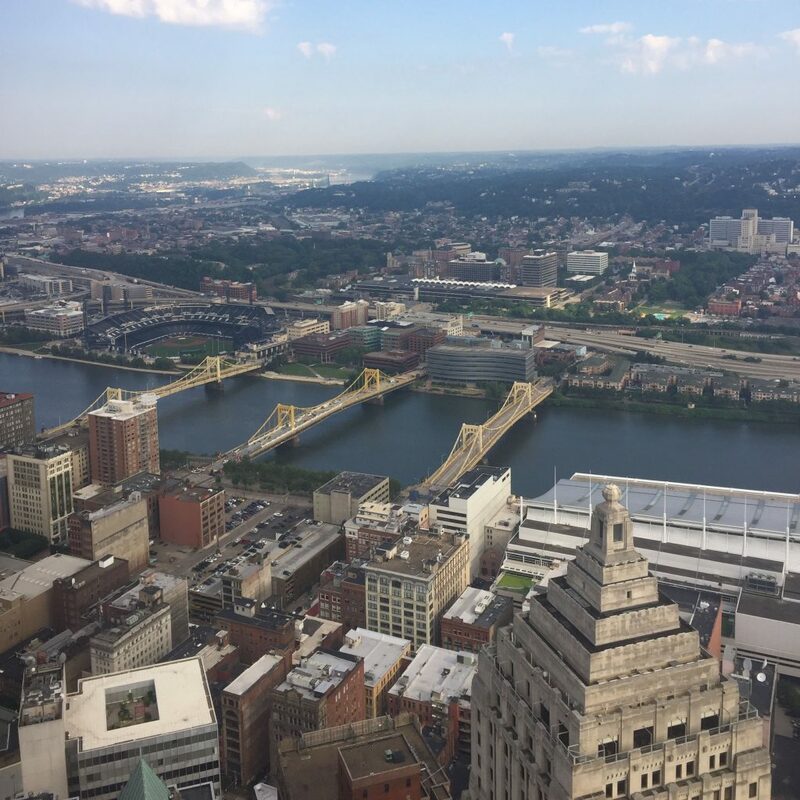 The long ride on the elevator in the U.S. Steel Tower is totally worth it just to get the 57th-floor view every day. The best part about being a Media Relations Summer Associate? The field trips and spur-of-the-moment photo shoots. 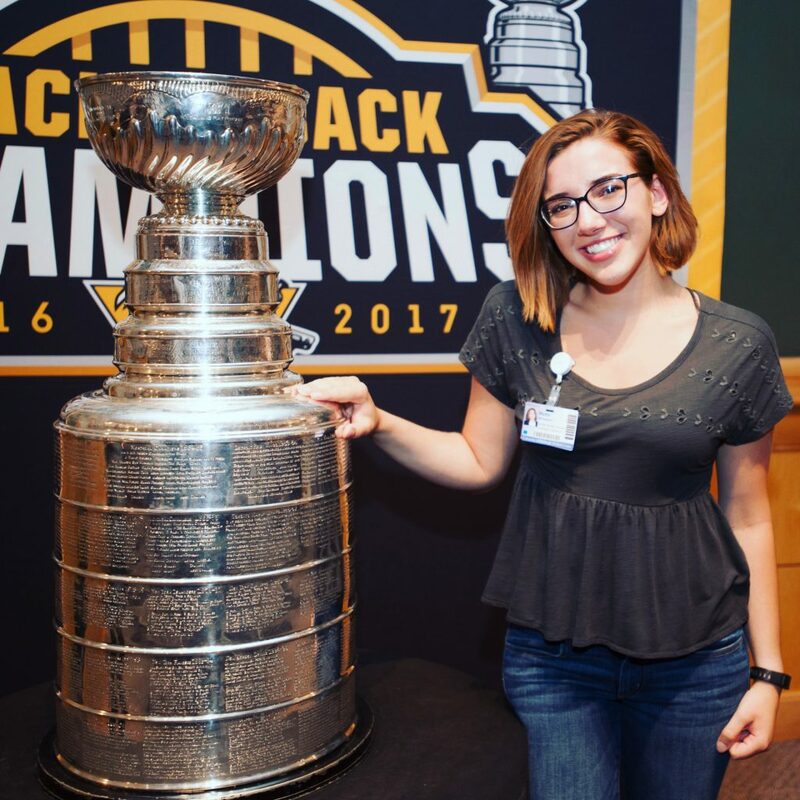 Today, I got to hang out with Lord Stanley! Us Marketing/PR Summer Associates spend the entire work week together, but even after-hours, we still like hanging out. This is us at the *awesome* Pirates game we were all invited to this summer! Just another perk of being an S.A. 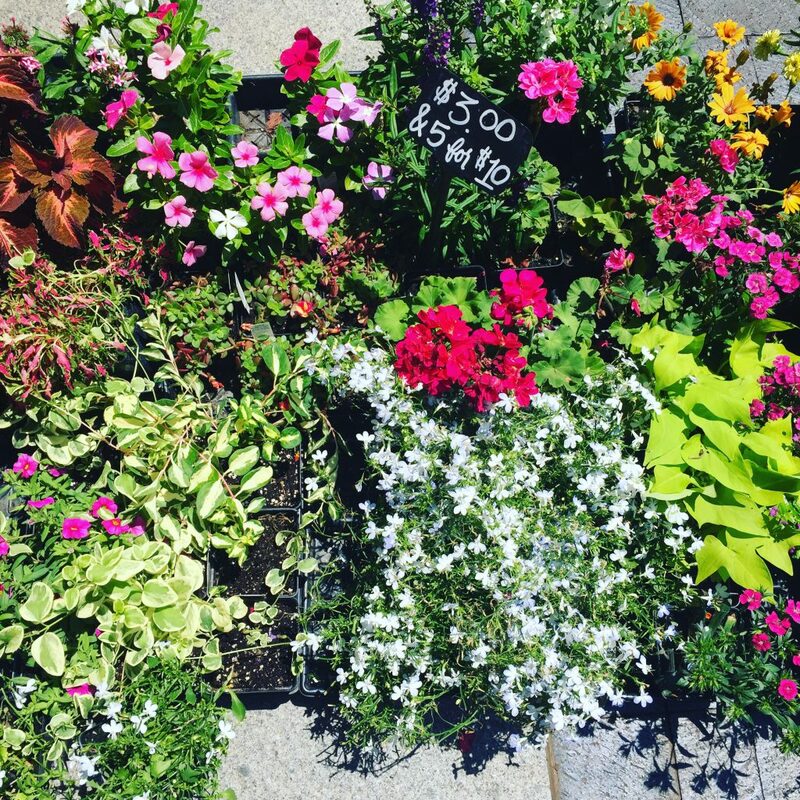 Thank goodness it’s Friday—and also thank goodness for this really sweet flower shop right outside the U.S. Steel Tower every week. A few of the Summer Associates and I had to stop before going back inside after lunch. 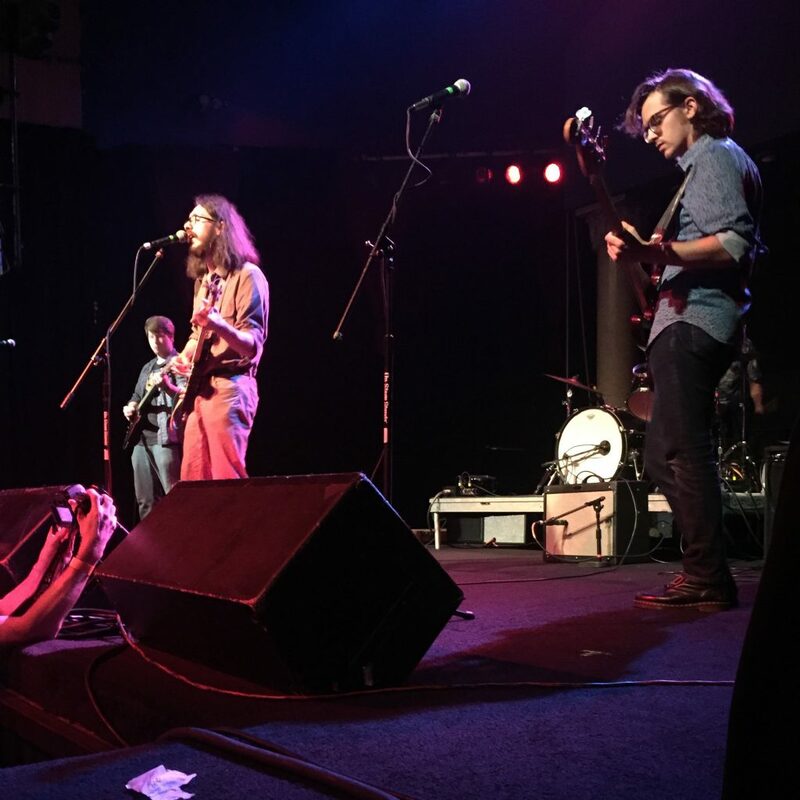 My cousin’s band played tonight at Mr. Small’s Theatre, which is a cool little venue in Millvale, PA. I was somehow able to still sing and dance along, even though I was ready for bed at 9 p.m.! A Sunday trip to the city with my family included a stop on Mt. Washington. It was the perfect way to sit back and think about how awesome this summer has been already. Hi, my name is Scott Fennel and I am a Finance Summer Associate with UPMC! This is my perspective of life and work in the 412! 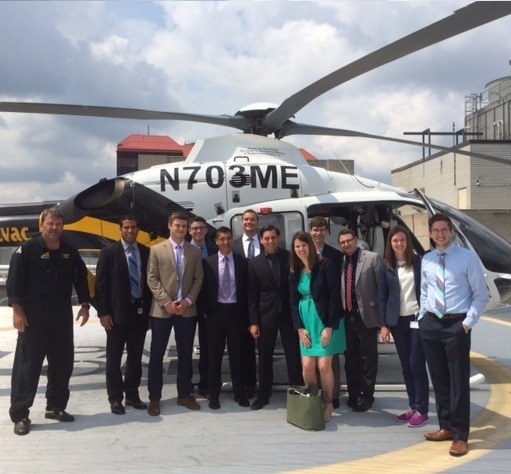 During an afternoon tour of Presbyterian and Montefiore hospitals, our team was taken to the roof of Presbyterian hospital where we were able to witness a medical helicopter bring a patient into the ED! A great experience, plus a great view. 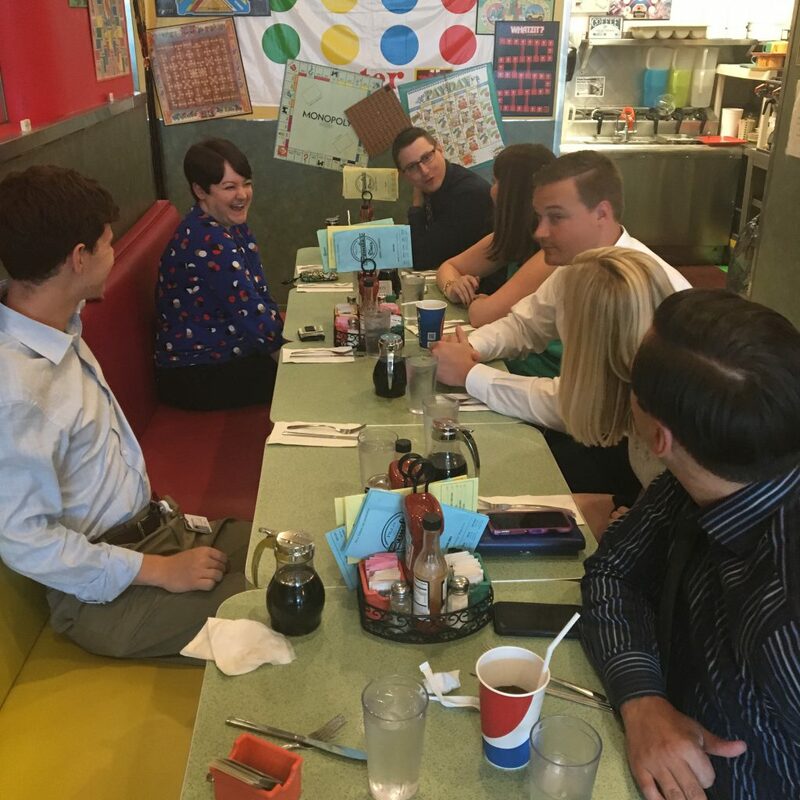 Here is part of the Presbyterian Shadyside finance team enjoying lunch at Pamela’s on one of our analysts last days in the Forbes offices. Anytime of the day is the right time for a Pamela’s breakfast! 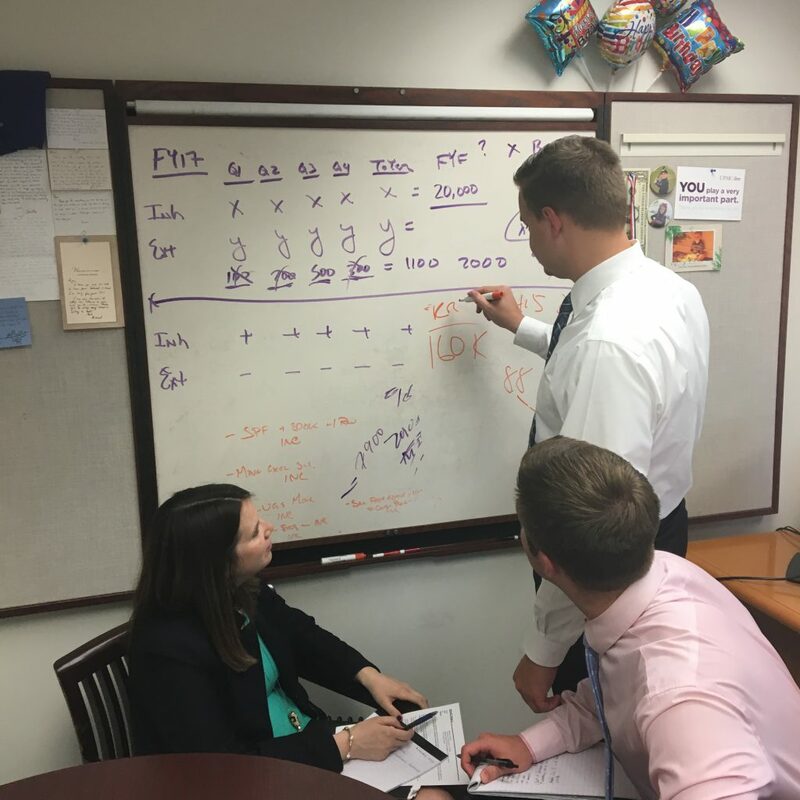 My managers Megan Metcalf and Andrew Anthony, as well as myself, reviewing a 2017 budget spread before finalizing the 2018 budget. Helicopters and Pamela’s are both great, but we are definitely having the most fun in this picture out of all three. Tune in next week to hear from more of our Summer Associates!